It is with deep sorrow that we announce the death of technology hero who made communication services more easy and faster to the world of today,he was the man behind the short messaging services and he will be mostly remembered for changing the technology of today and living behind a good legacy. Matti Makkonen lived a good life from when he was born until his demise at a tender age of 63 years, he was a creative and humble man who really love his work and he also love working for the world in ensuring the betterment of it, indeed he leave the world more different and better than he found it thus why the whole world will mourn him so much. 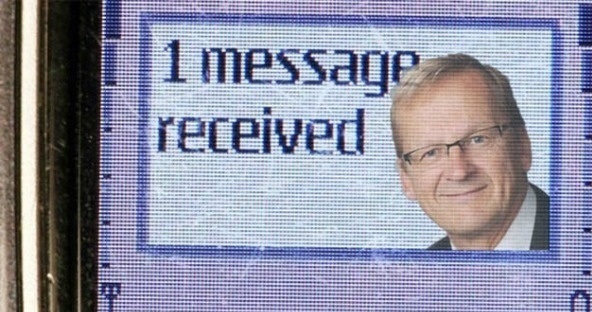 The late Matti Makkonen also known the father of “SMS” came up with this idea of short messaging services in 1984 when he was at a certain Telecoms conference, he suggested that it could be more easier and first to expand the communication technology by introducing messages services,the idea was digested for about seven years thus why the first text message was sent in December third in the year 1992, it was really a great boost to the world of communication thus why his demise broke the heart of the world but as they say death knocks no door, it is uncertain, as the world we only have to be grateful for what he did and the years he lived. Makkonen believed so much in expanding technology and making the lives of people better, he was a man who love team work and even when he was interviewed in 2012 by BBC, he said that the real success of SMS was in 1994 when Nokia model of 2010 make the service well known and work on making it better and simple and this clearly shown that the man loved working with different organization, he was not selfish of his idea and thus why he let other willing people to expand his idea of SMS into, making it better and big. The late Matti will be remembered for how optimistic and generous he was about the text services and how he always saw it as a useful way to get in touch and do business, he once said that he never expected his idea to become so important by itself, he thought that it could be just another invention for mobile communications system that can be use to do business as fast as possible, he thought that pay per text services won’t last for long but it will always be a tool for communication be it in Facebook, Twitter or Skype but he never didn’t restrain his idea, he let other people expand it into being more useful, what a good man he was, indeed the world will miss him. Matti Makkonen was always a person who had vision for this world and this was shown by what he said in many interviews he attended, in a particular interview when he was asked if he had any future plans, he said “not my idea but integration of mobile content display to my eyeglasses would be nice. Maybe someone is working with it?”maybe if he was still living we could be also seeing other technology development,who knows? may his soul rest in eternal peace.